← Meghan and Harry: What would Austen say? One aspect of the Konmarie method is the finding of joy in possessions you have: re-organising and cherishing the few, in favour of the new. Austen’s characters have moments of Konmarie; when they are troubled and need a new perspective they do a Konmarie organisation. Of course we know: there is no new thing under the sun! But this is not to detract from what is new but to see with fresh eyes the old. One example is when Nauseatingly-Nice-Fanny Price, from Mansfield Park returns to Portsmouth. The aspect of her new situation that she struggles with most is the chaos that rules in the house. Of course Fanny is sooooo nauseating as she knows exactly what to do and instead of threatening to throw herself off the balcony or to be in bed for days suffering from histrionics, which we quite like in our female romantic heroines, she cleans and organises the room she shares with her sister Susan as a sitting room and there she lives a similar life to the one she lived at Mansfield. She encourages Susan to read. Fanny can find no books in the house so she joins a circulating library and soon the little room became a welcome solace where the girls grew in attachment to each other and Fanny felt the warmth of knowing that she was being useful and helping her sister. In this little room Nauseatingly-Nice-Fanny Price and Supportive Sister Susan find relief from the chaotic environment. Can you see a Kon Marie connection and the Shinto philosophy that inspired this once Shinto shrine maiden? one advantage of Austen’s time, the 18th century, to our own time is the fact that at least then there was less stuff ! Sure some of our stuff is necessary but one of our modern dilemmas, is the modern problem of dealing with stuff that Kon Marie has so beautifully and respectfully given us the answer to. I have an inordinate amount of stuff. I want to treasure my mother’s things of an age gone by but I have to fit it all into my house along with all of my modern necessities. Is there too much stuff and consequently chaos? The stuff of life needs to organised. But we need to be respectful and grateful and distinguish between the things that sparks joy and what needs to be gratefully acknowledged and let go. If it sparks joy, then it can stay; it can then be fixed or polished and placed in pride of place and enjoyed each day. 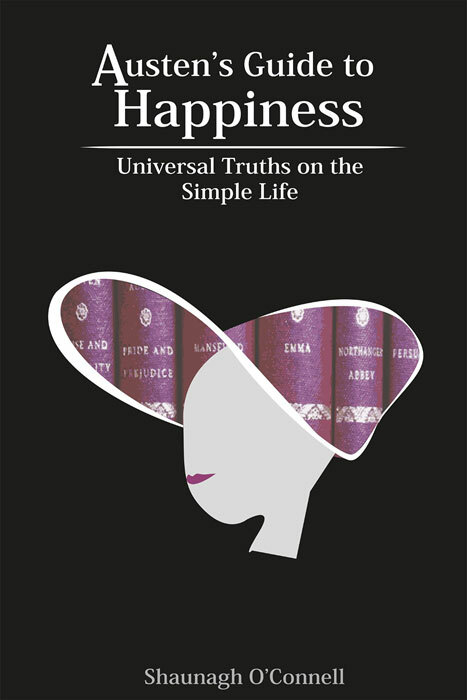 What perhaps is the message from Austen and Konmarie is that happiness can be found, just like Fanny did, in finding order amongst the chaos of life. Is Kon Marie the system of culling?